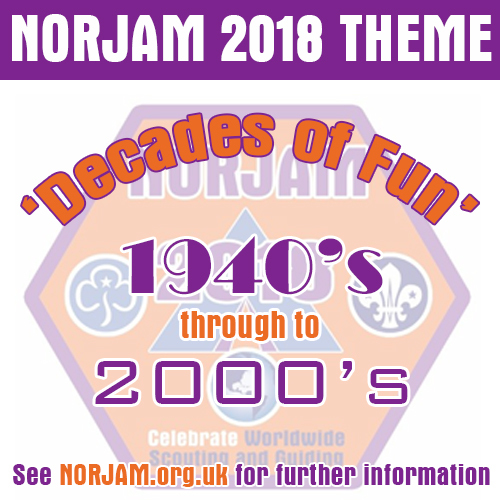 NORJAM is a week long camp which brings together Scouts & Guides from around the world every four years at the Norfolk Showground just outside Norwich. With everything from archery to zorbing and thousands of new friends to meet from across the globe, you really can’t miss NORJAM 2018! If you’re a leader looking to take your troop or unit, or an adult looking to volunteer as staff, we’ve got something for you. The theme for 2018 promises to be a week of fun with heaps of activities to keep you entertained. As NORJAM approaches, keep an eye out on the website for more information from your subcamp!